Extra long lightweight cotton stockings with a simulated seam running along the back of the leg. One size fits most. Available in Cream and Black. 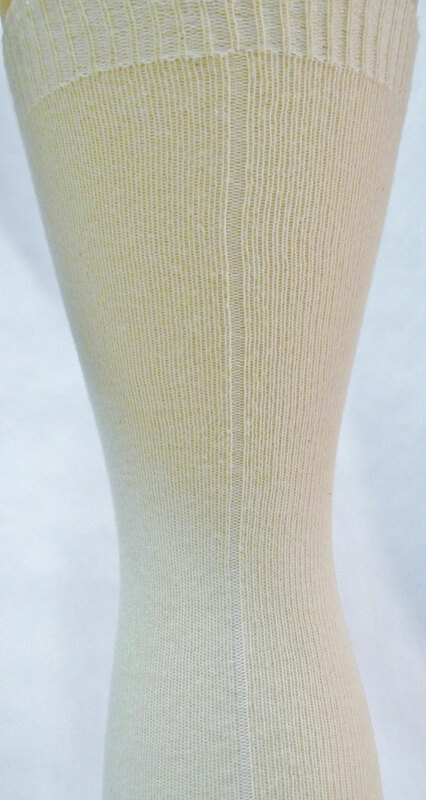 This is a wonderful light cotton stocking, with a nice authentic look. Seams on the back of stockings were originally a result of frame knitted stockings being made flat, then seamed up the back to create the cylinder for the leg.